Why Is There always A Rainbow on a Bright Sunny day at Niagara Falls? 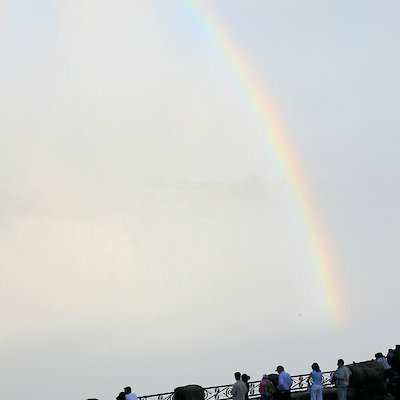 Despite their splendor, rainbows usually get, “second billing” next to the Falls. 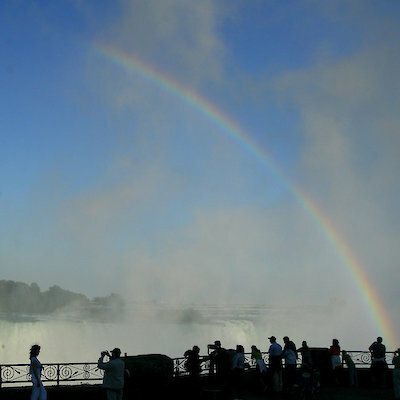 On any bright sunny day, you are guaranteed A rainbow when you vist Niagara Falls, if you stand in the right spot. 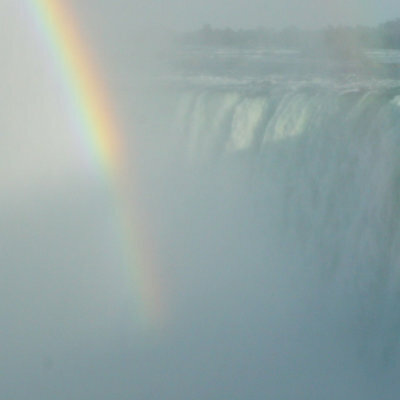 When your back is to the sun, rainbows are seen in the mist created by the falling water. The sun shines through the water droplets, reflecting light into the colors of the spectrum. Because the sun rises in the east, rainbows are seen early in the day from the United States side (the east side) of the border. As the sun gets higher during the day, rainbows become visible on the Canadian side (the west side) of the border. Here are some photos of rainbows seen late afternoon on the Canadian side of the border at Table Rock, Niagara Falls Ontario. Please don't forget to comment, your feed back is very much appercaited.